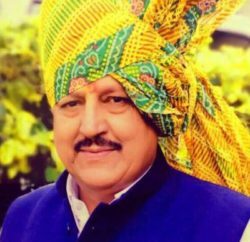 Senior congress leaders Ram Lal Thakur, Chander Kumar, Sudhir Sharma and Harbhajan Singh Bhajji have expressed shock over the statement issued by Hamirpur MP and HPCA president Anurag Thakur in which he had justified the formation of company for running a hotel at Dharamshala saying it was in the interest of cricket. They said that Anurag was trying to justify the misdeeds conducted by the HPCA. In their joint statement, State Congress leaders said that if the HPCA wanted to run a company then it should have purchased the land and run their commercial operations. But instead of doing things in the justified way the HPCA formed two bodies one was the Himachal Pradesh Cricket Association which was a society and then Himalyan Players Cricket Association which is a company, they alleged. 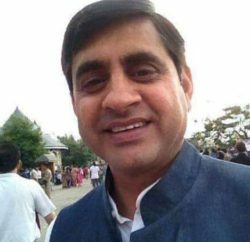 The congress leaders said that congress always knew the mal intentions of Anurag Thakur who wanted to commercialise cricket and run the business of selling services in the name of the cricket in the state. They said that the land given on lease to the Himachal Pradesh Cricket Association was for making grounds for playing cricket and not for any commercial activities. But the HPCA had resorted to turning cricket into a business and thus cheating with the interest of the people of the state. 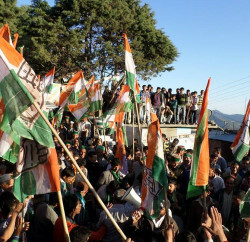 Congress leaders alleged that Anurag Thakur had always been fooling the people of the state and using his fathers influence during the previous BJP government to get 90 kanals of common village land in Dharamshala for making five star hotel in the name of housing cricketers and then getting it transferred into the name of a company and running the business of a five star hotel. These leaders said that congress was never against giving the land for being used for playing cricket as had been initially proposed by the HPCA, but it was totally against the fact that the HPCA had fooled the authorities and used the said lad for making five star hotel. Congress leaders said that now it was clear that Anurag Thakur was using the name of cricket to take political mileage and conducting commercial activities in the name of the game.